Salmeh and Sarah Moravvej are artists and interior designers who specialize on the transformation of residences, offices and / or commercial spaces. MSS was founded in 1999 and has since its inspection worked on hundreds of projects in the Middle east and internationally. 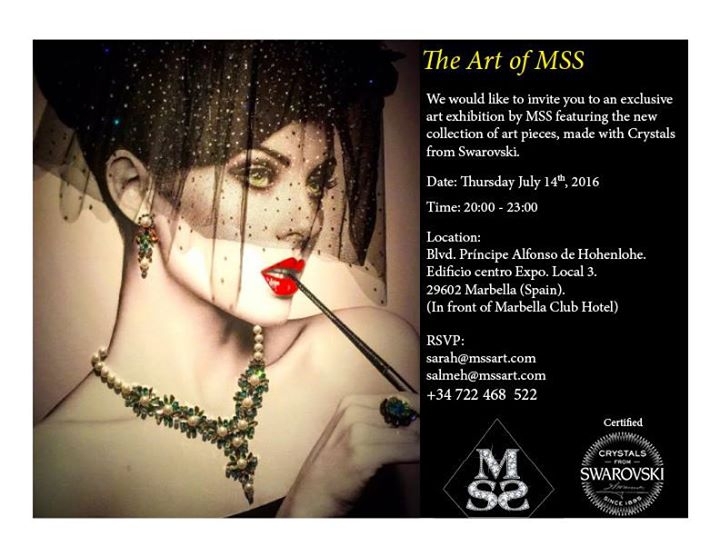 In the quest of adding special effects for their clients, MSS has launched the MSS Swarovski Art collection. The Art of MSS is a collection of contemporary 3D art forms, paintings studded with Swarovski stones and pearls which will bring life and sparkle to any space. Every picture is sold with a Swarovski certificate verifying the quality of stones used. Combined with the right lighting the MSS Swarovski Art brings a new experience to your living space.